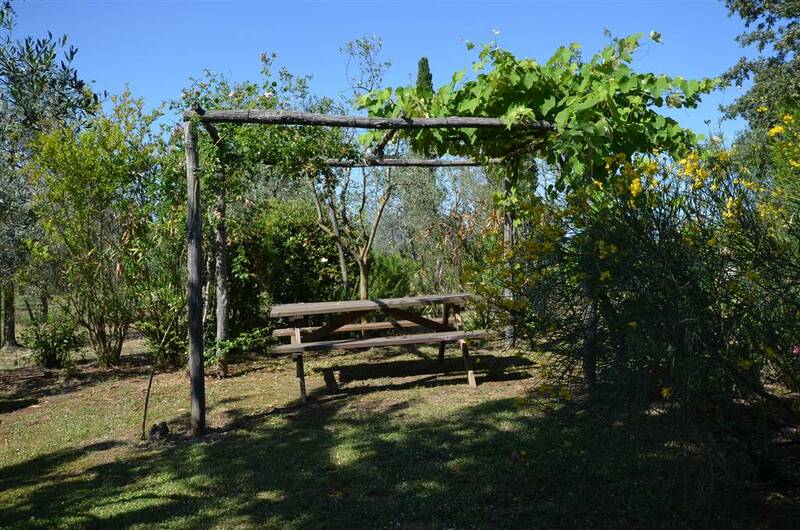 It is a treasure trove of natural beauty, surrounded by countryside dotted with ancient, sculptural olive trees, vineyards and fragrant bushes. 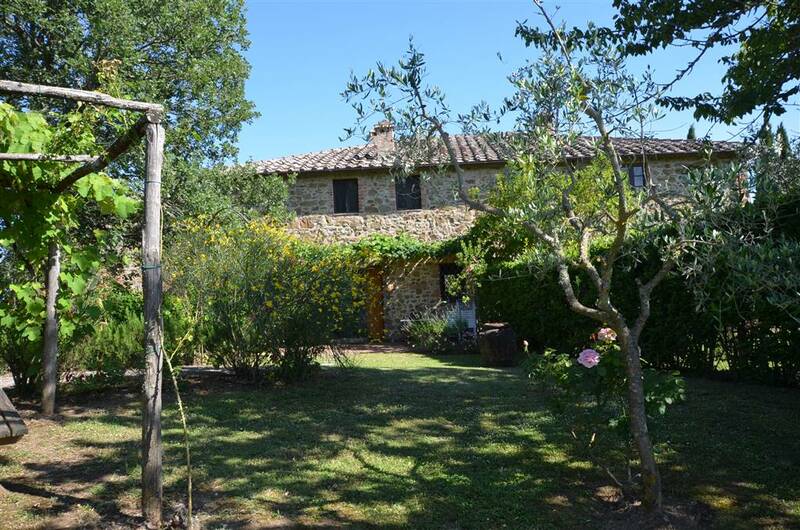 It is the agricultural land of the surrounding of San Gusmè, in the enchanting Chianti region, Tuscany. 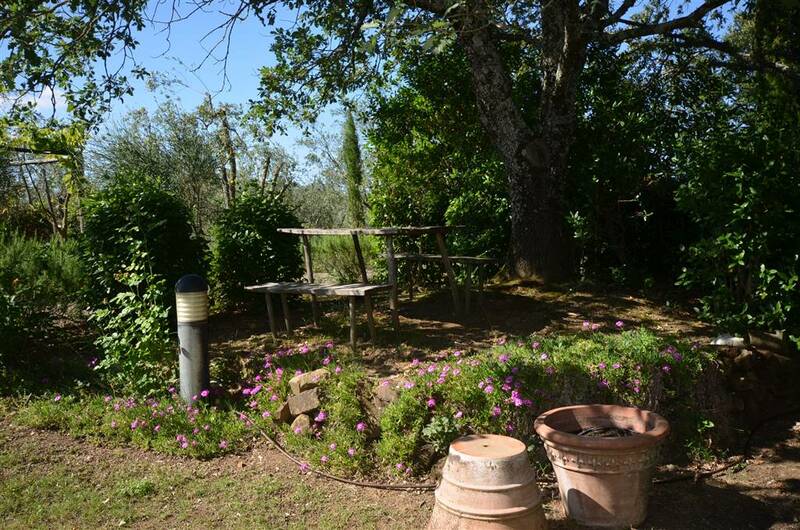 Located high in the hills, in a park of lush Mediterranean vegetation we are inside a large park with comfortable paths for relaxing walks immersed in the surrounding nature far from danger and traffic, for sale a lovely part of a farmhouse, on two levels,of about 92 sqm. 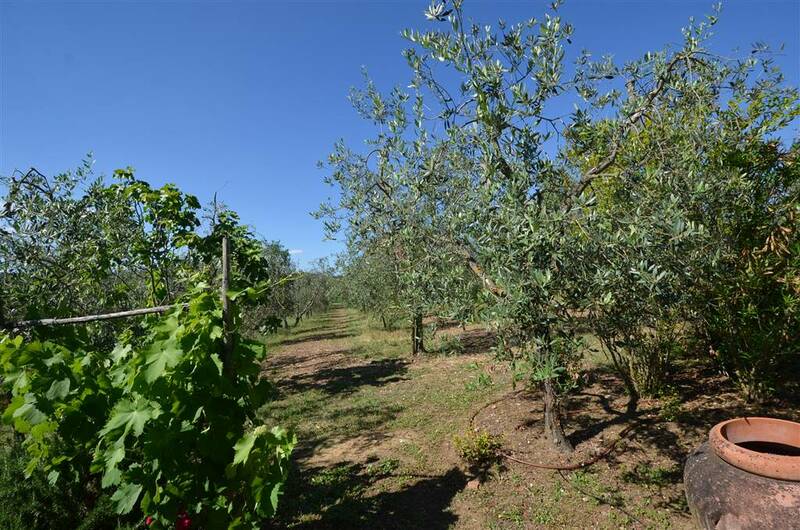 with a private garden, a shared, fabulous, swimming pool and 130 olive trees over about 3000 sqm. 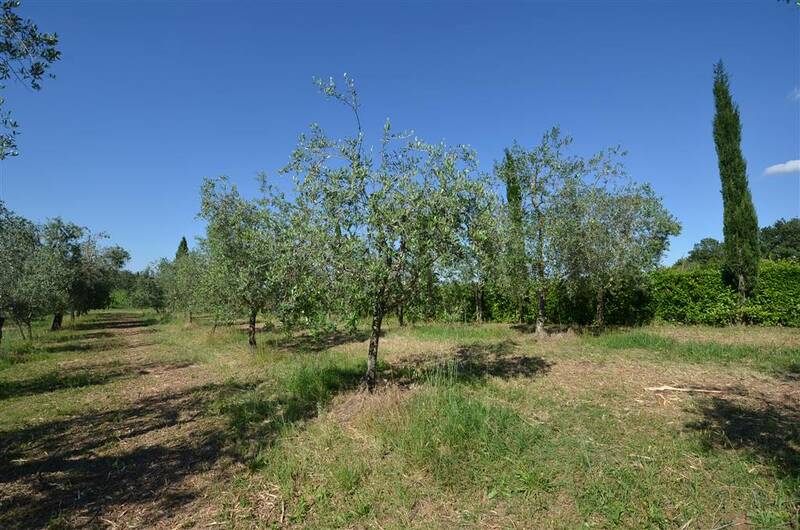 of land. 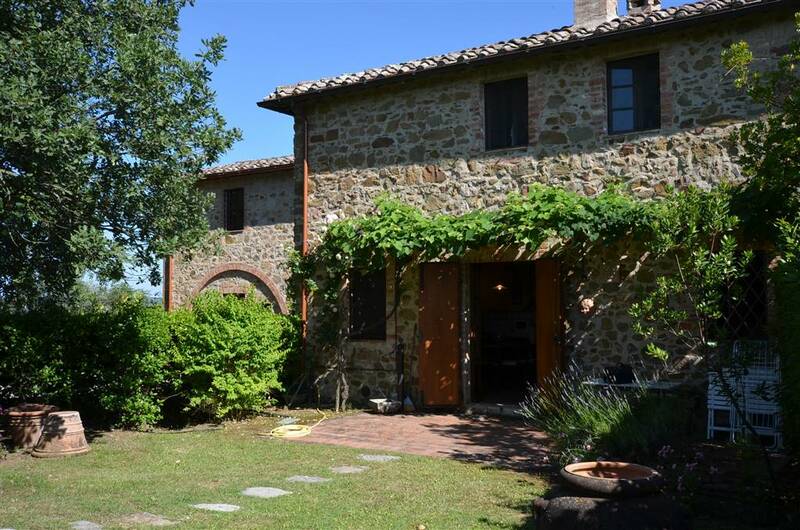 Restored to the Tuscany standars, the part for sale has a private access to the garden and two parking spaces. 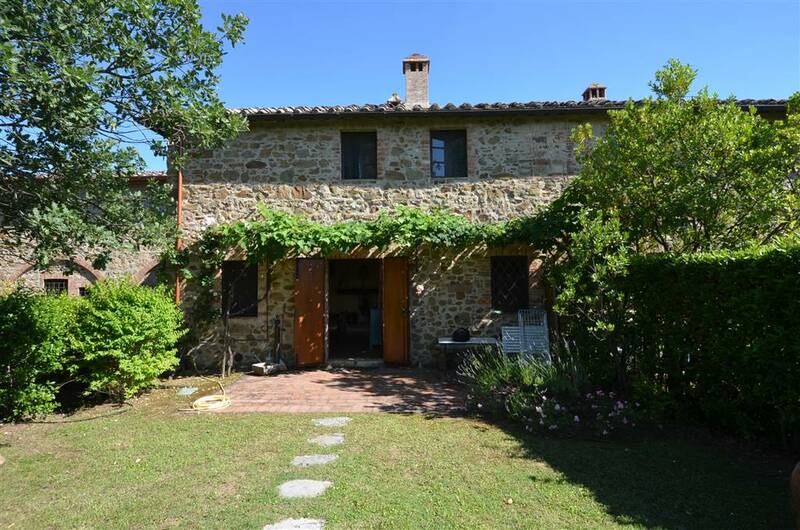 Made up of: ground floor: private access from the garden, kitchen-diner with a beautiful fireplace that is its focal point; small living room also with fireplace, small bathroom. 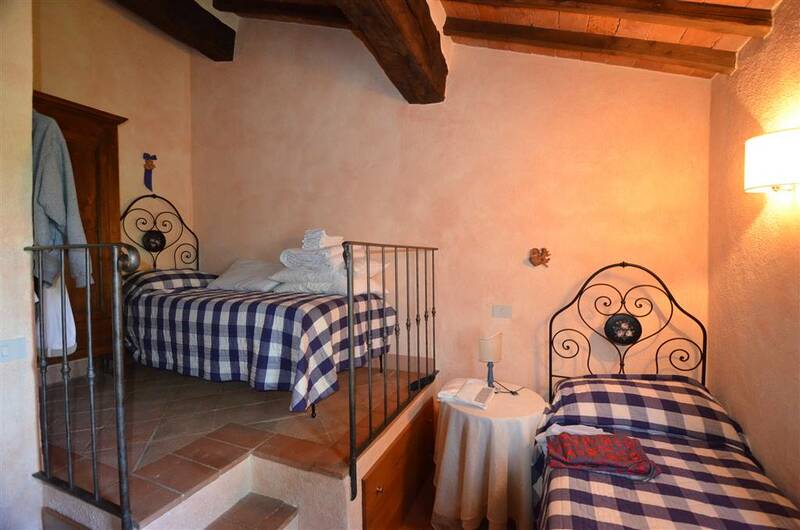 First floor: comfortable double room, twin-bed double room, large bathroom. 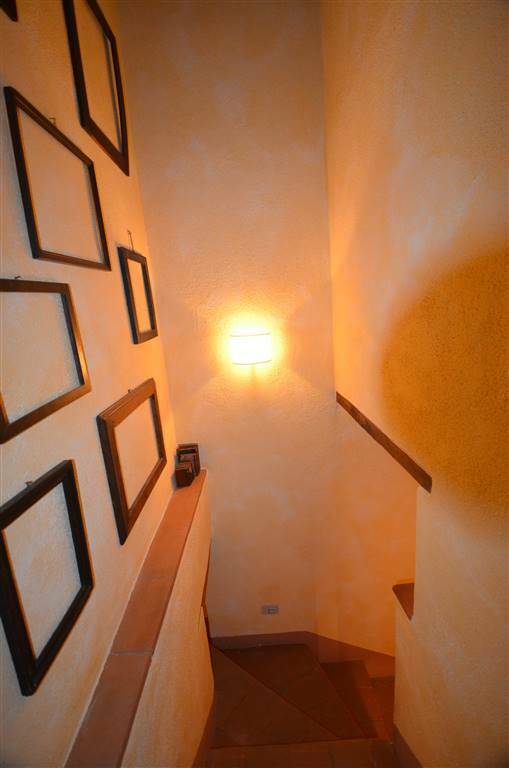 On arrival at the property one is immediately struck by the beauty and tranquillity of the location. 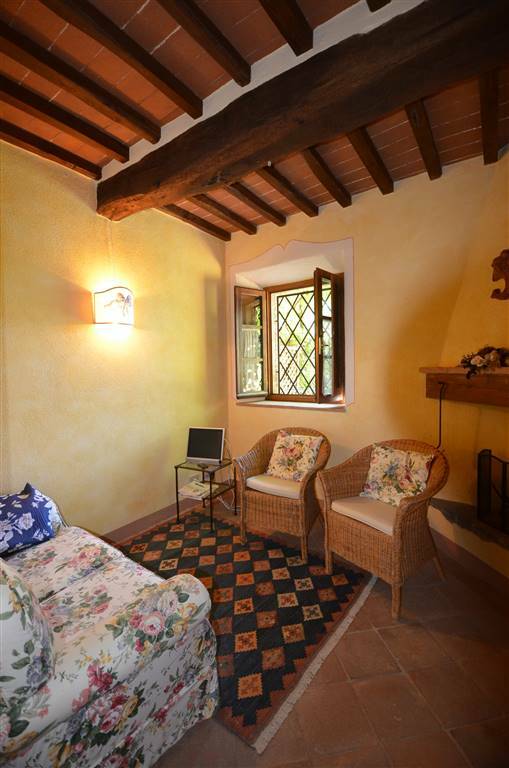 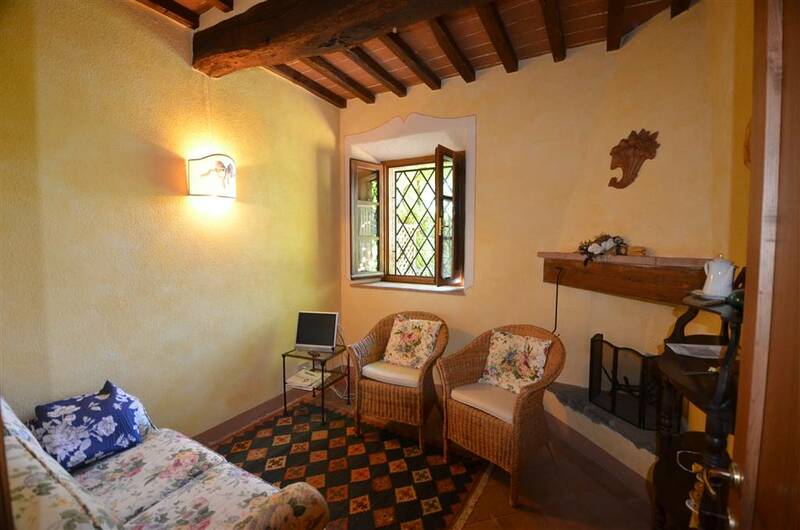 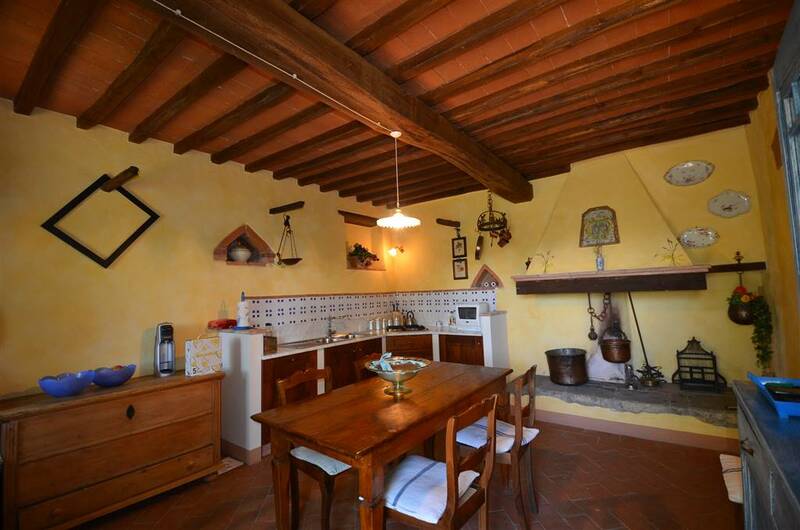 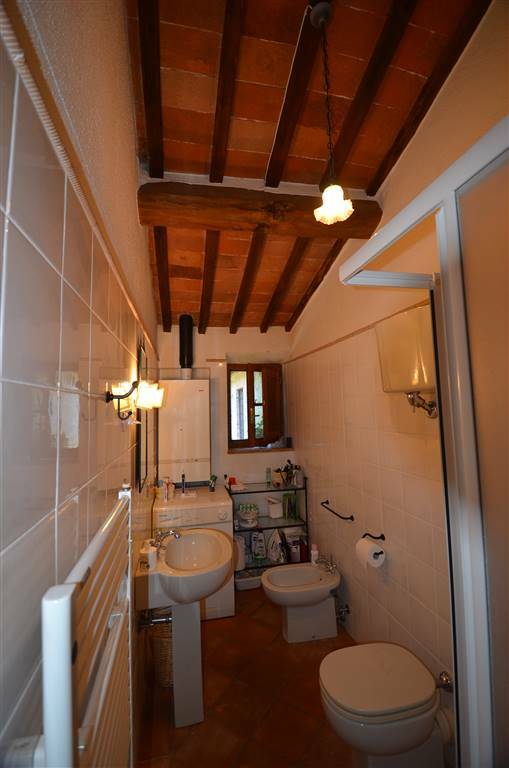 The charming property for sale boast typical Tuscan style features such as beamed ceilings and hand made terracotta floors. 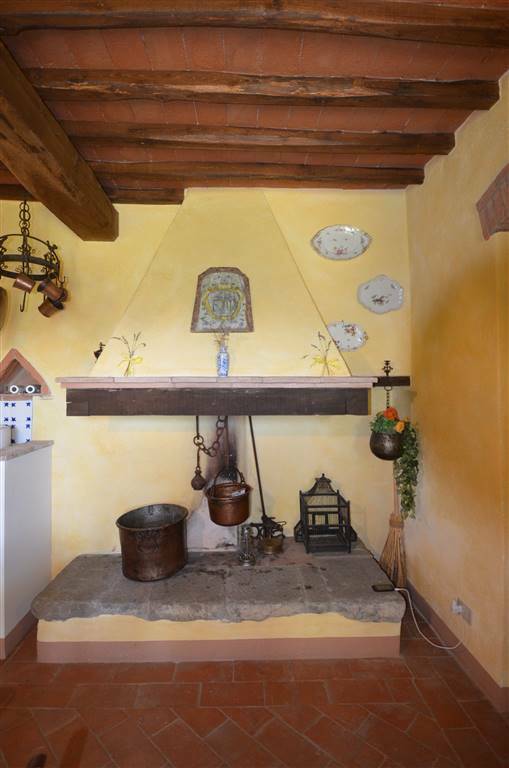 Few modifications have been made to the architecture so that it still reflects the original construction of the Tuscan farmhouse; for example, two great fireplaces still occupy the dining room and the living room. 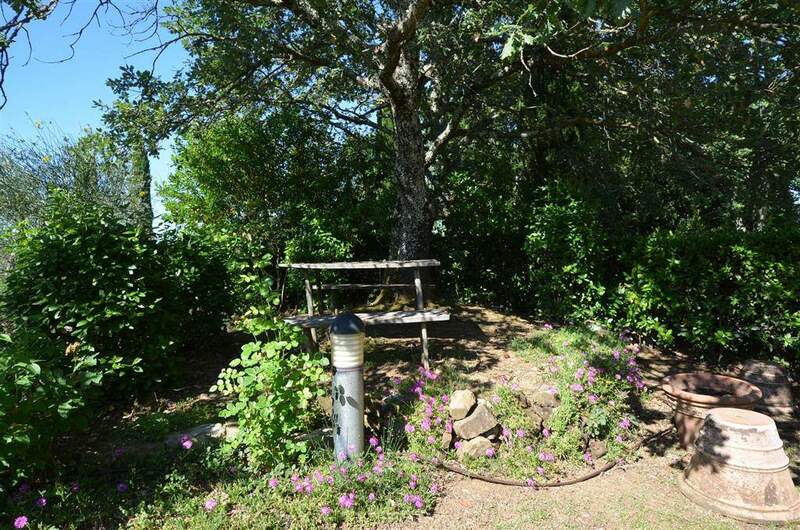 The property enjoys a lovely garden with various private shaded sitting areas and a barbecue area. 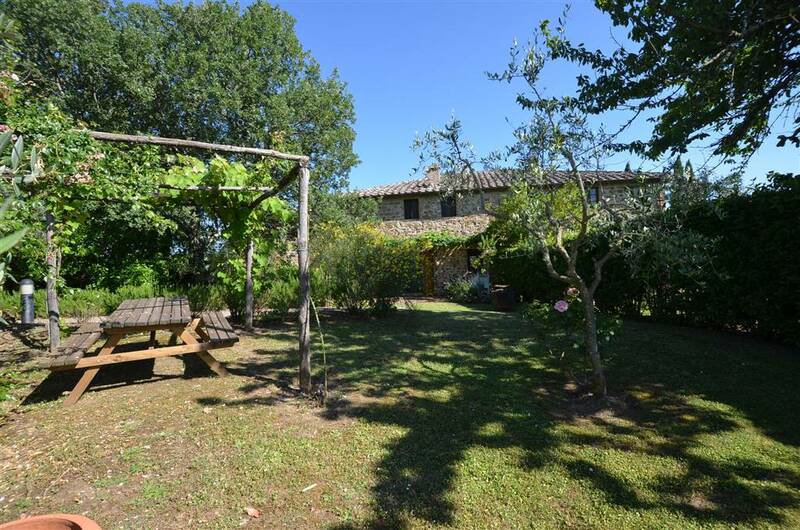 It rolls gently downward from the house towards the olive grove. 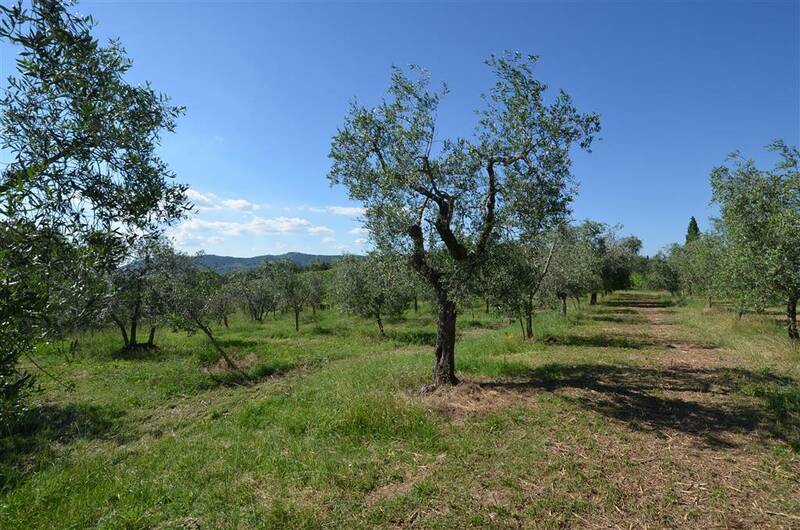 The land has a surface of approximately 3000 sqm with 130 olive trees. 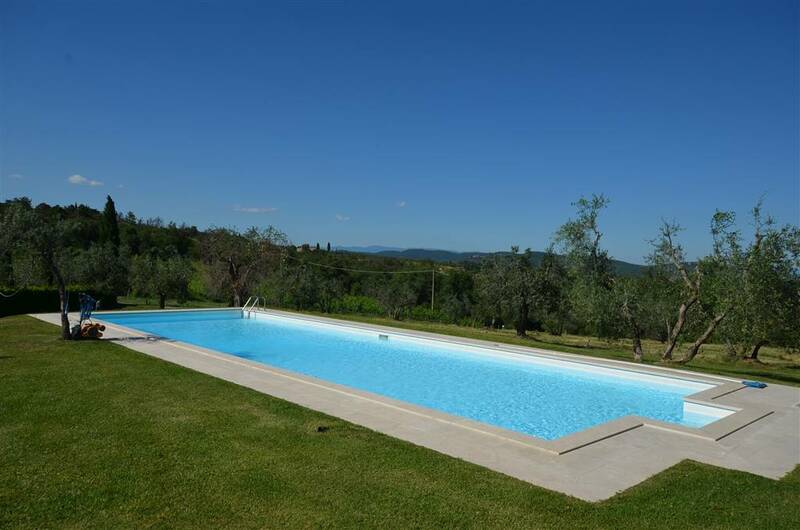 The swimming pool is set in a very nice and private position, perfect for enjoying peaceful summer afternoons; blends in perfectly with it's surroundings. 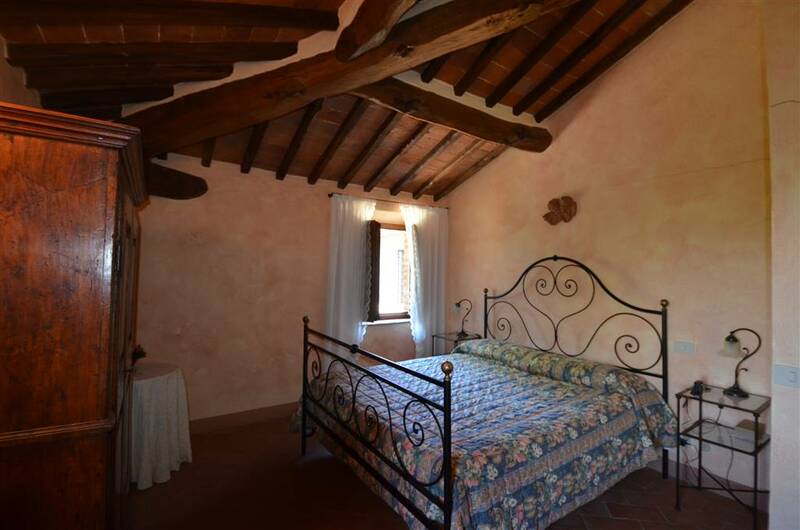 The property is perfectly ready to be used as a first or second home and/or to be managed on international circuits as a tourist rental, to generate a profitable income when not used. 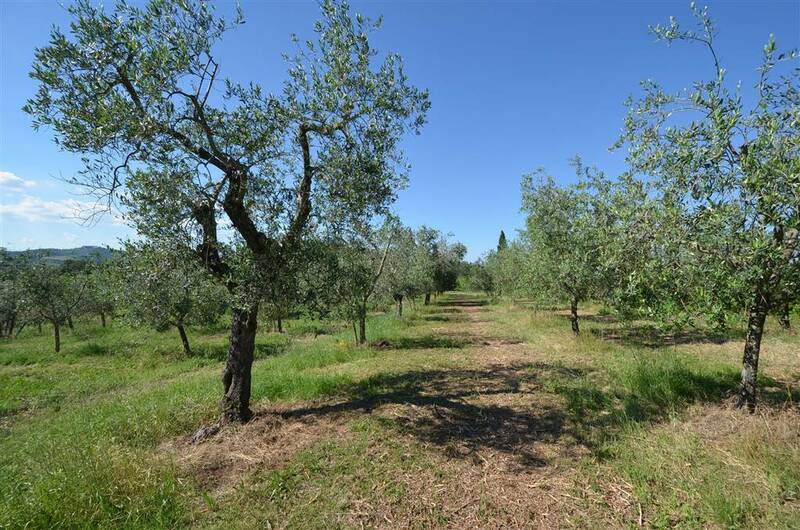 The portion for sale is located just 5 km from San Gusmè, also reachable on foot following a private trail within the property.